Two times more likely to improve hiring manager satisfaction. Background screening is not a hindrance to talent acquisition. It is a strategic advantage. But, in order to see the value, companies need to make sure they are using screening consistently with the right provider. On January 29, I will be sharing some of our latest research on background screening and the impact it has on talent acquisition initiatives via a free webcast. 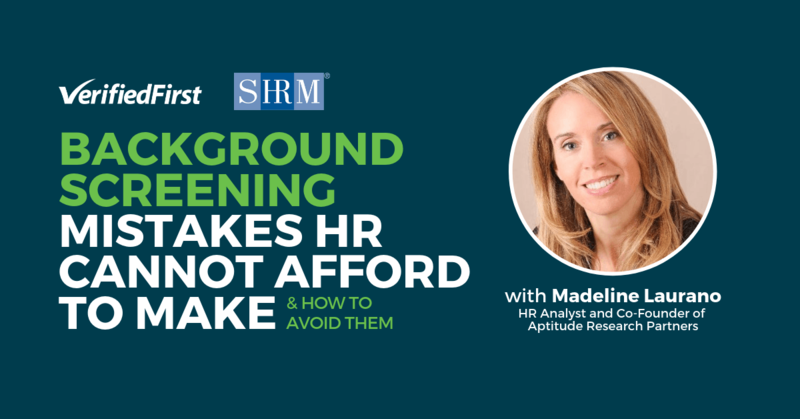 ​Read Madeline's full article on the Aptitude Research blog and register for the live SHRM webinar here.